Darkness descends over St. Louis, a city already rocked by the Great Depression. More and more people are disappearing, and some have turned up dead. A sinister secret society is putting forward their plan known as The Winnowing, designed to wipe out those they consider “undesirable”. 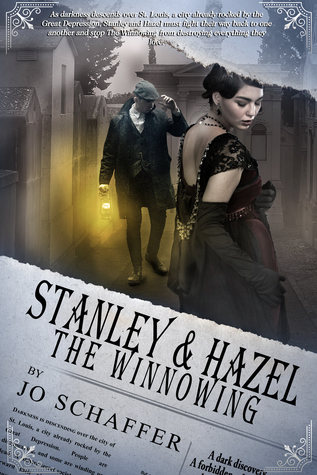 With things spiraling out of control, Stanley and Hazel’s relationship is tested, possibly beyond repair. As bodies pile up, people become more desperate. The divide between wealthy and poor grows ever wider, threatening to tear their worlds apart. Now, the two must find a way to work together if there is any hope at all of saving their relationship and their futures.